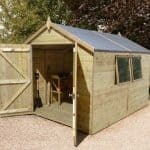 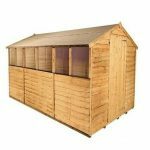 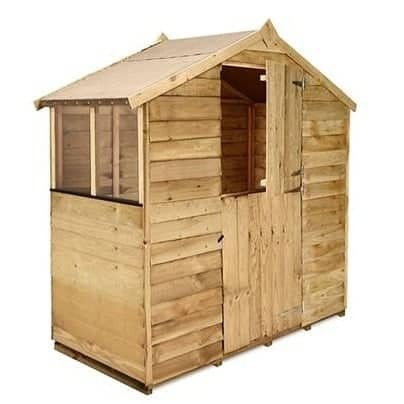 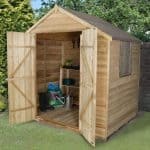 Simple yet effective, the BillyOh Pressure Treated Overlap Apex Garden Shed is an attractive choice for mid-sized gardens. 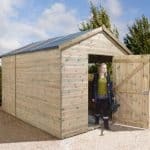 Complete with a functional, useful and large stable door and glazed windows allowing plenty of light inside, you will be delighted with this purchase. 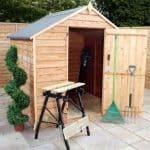 Plenty of room inside enables you to store gardening equipment, outdoor toys and pieces of garden furniture easily and the hard wearing wooden panels will last for years. 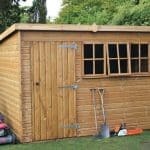 The shed has overlap cladding and is a good, solid gardener’s choice.